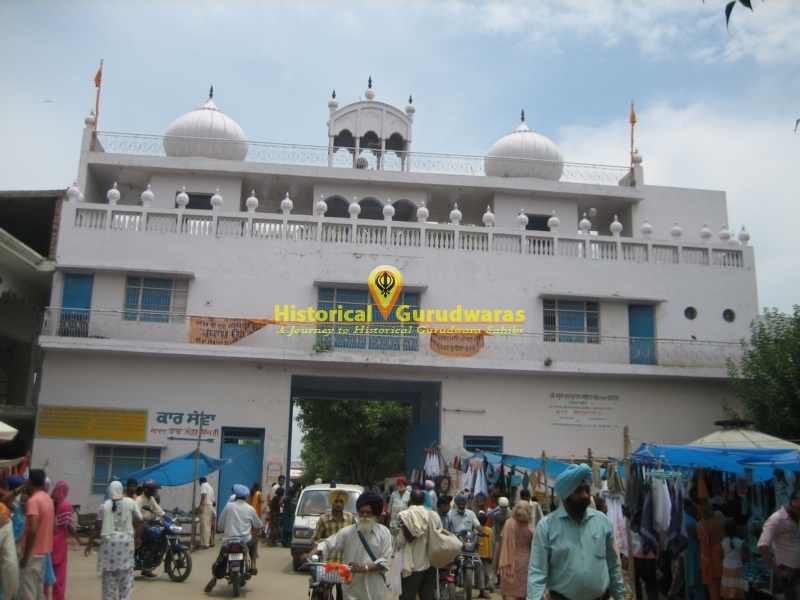 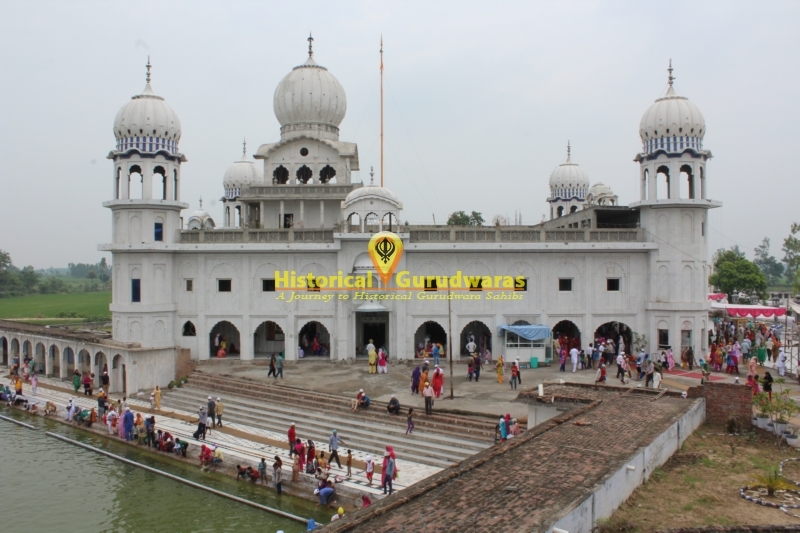 GURUDWARA SHRI PANJOKHRA SAHIB is situated in the Panjokhra Village of Ambala Distt. 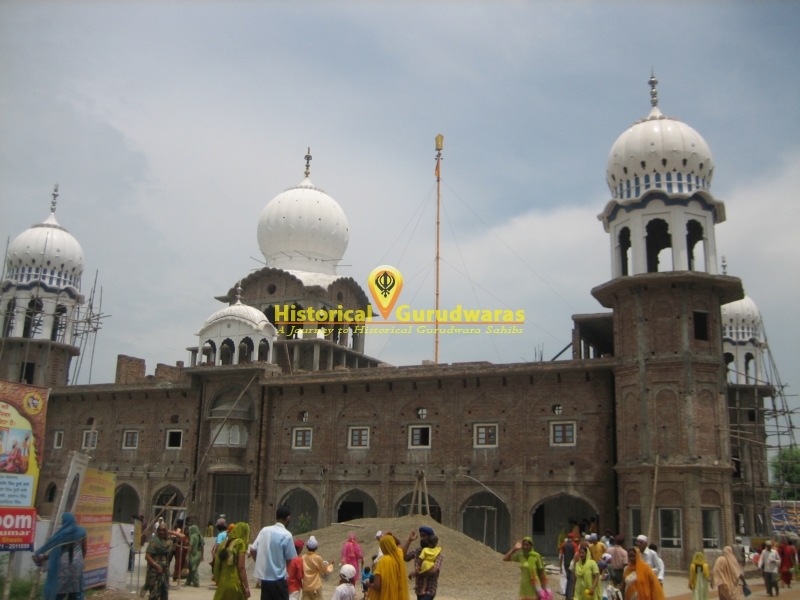 Its is Situated on the outskirts of Ambala City. 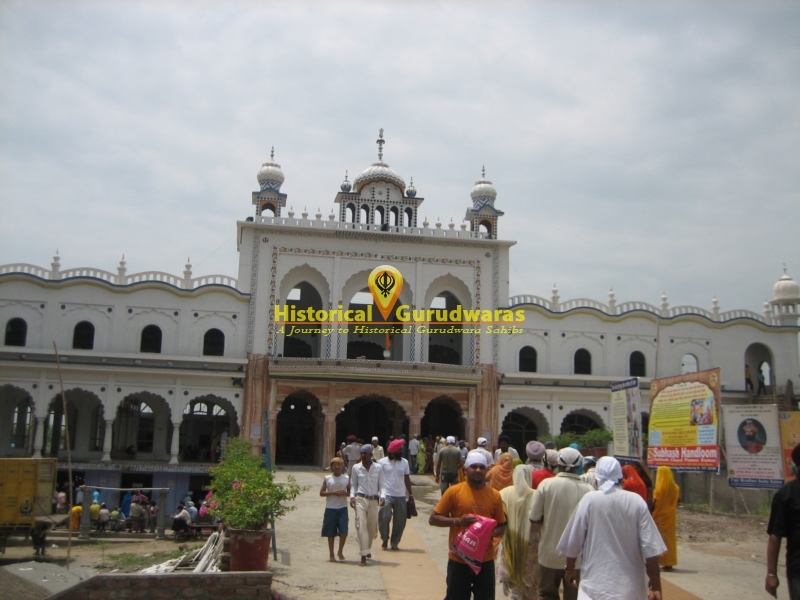 SHRI GURU HARKRISHAN SAHIB JI visited sacred place GURUDWARA PANJKHORA SAHIB on the way to Delhi. 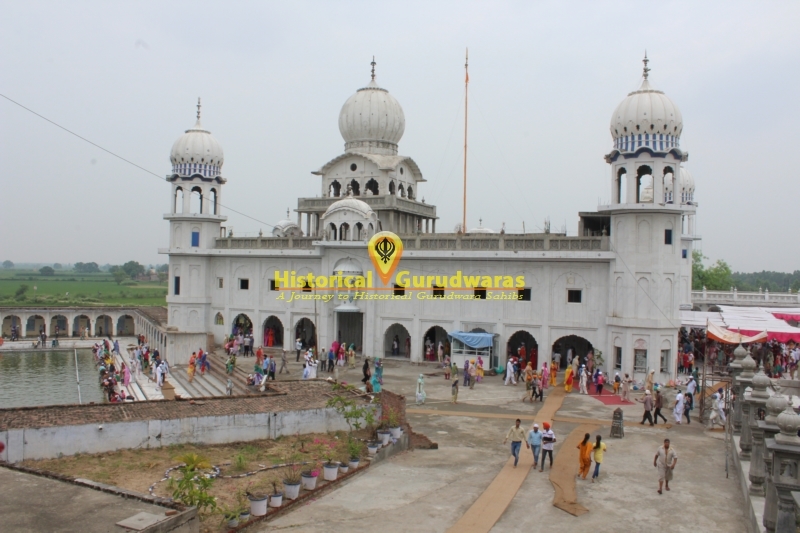 He stayed here for 3 days and gave his preaching to his followers. 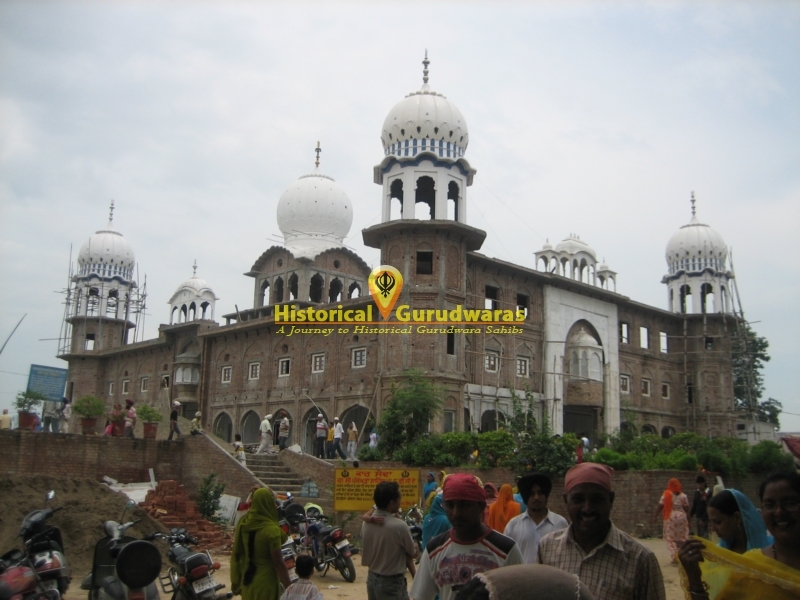 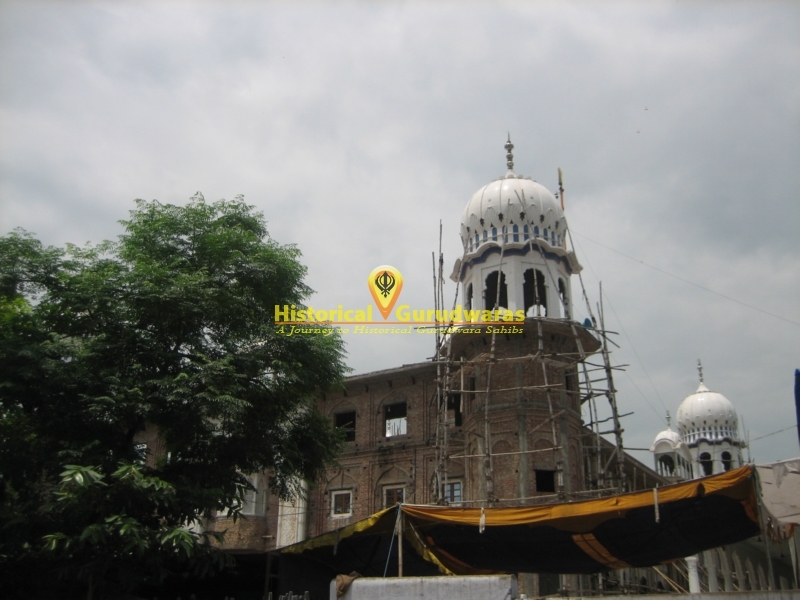 One of the person of this area Shri Lal Chand ji questioned GURU SAHIB'S knowledge. 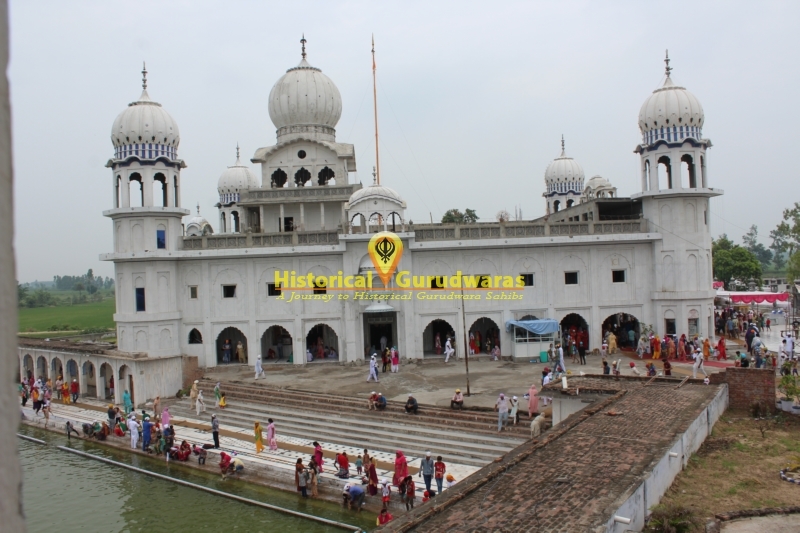 On this GURU SAHIB blessed a Deaf & Dumb man named as CHAJOO, told him to take a bath in a Sarovar nearby, placed a stick on his head and finally he interpreted the Bhagwad Gita. 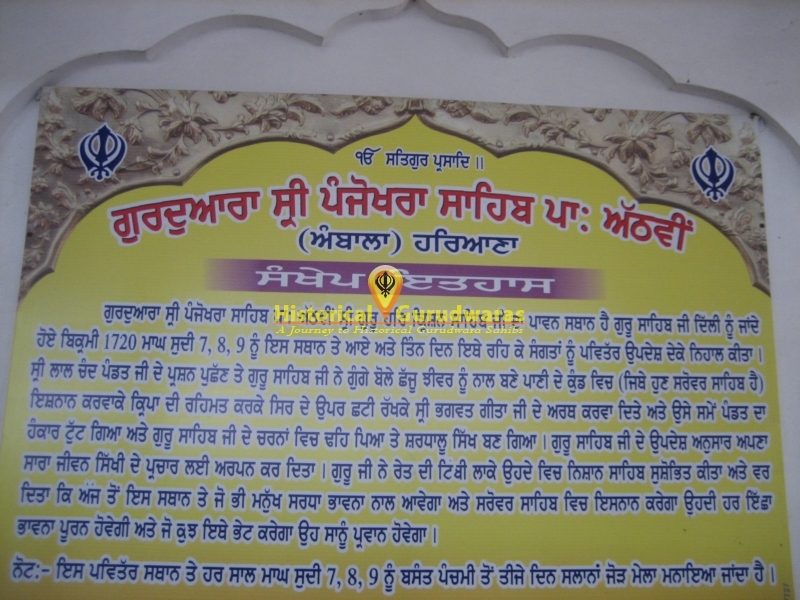 On this Padit Lal Chand asked GURU SAHIB to forgive him for his mistake and he became a follower of GURU SAHIB after this episode. 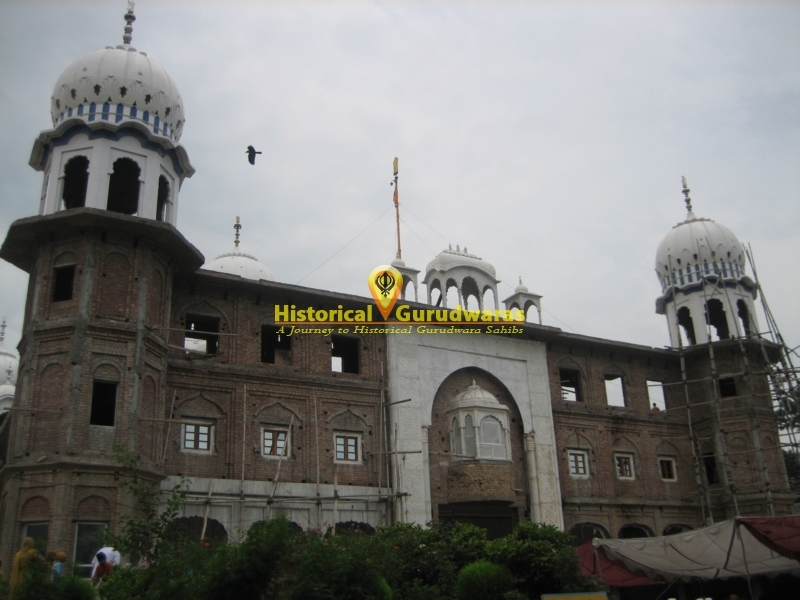 Thereafter, he spent all his life preaching Sikhism. 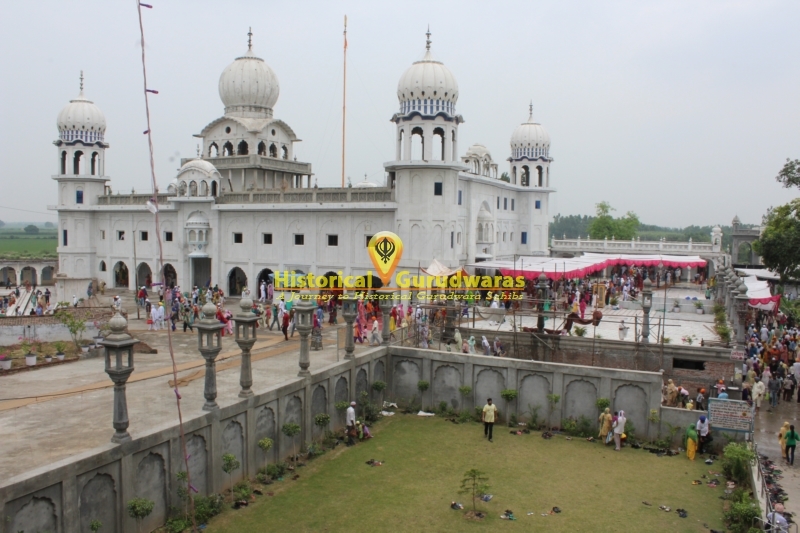 GURU JI created a small plateau of sand and installed a Nishan Sahib in the same. 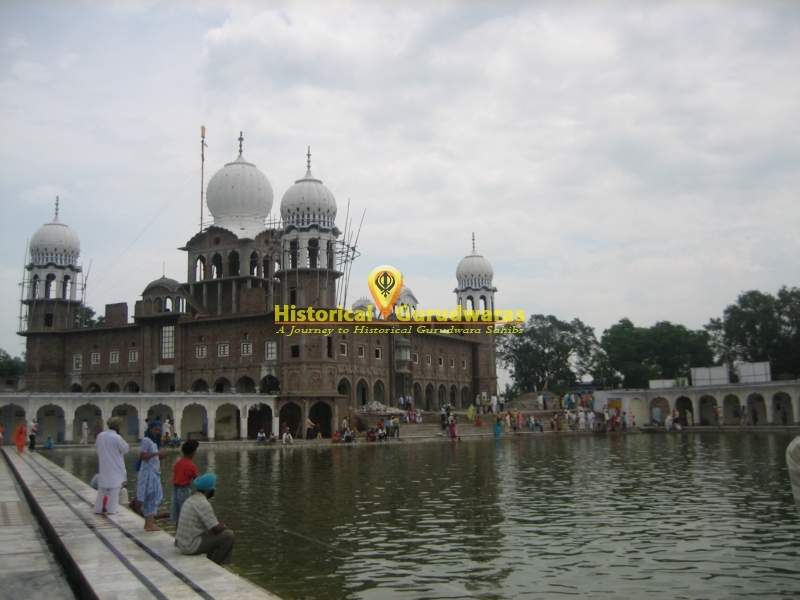 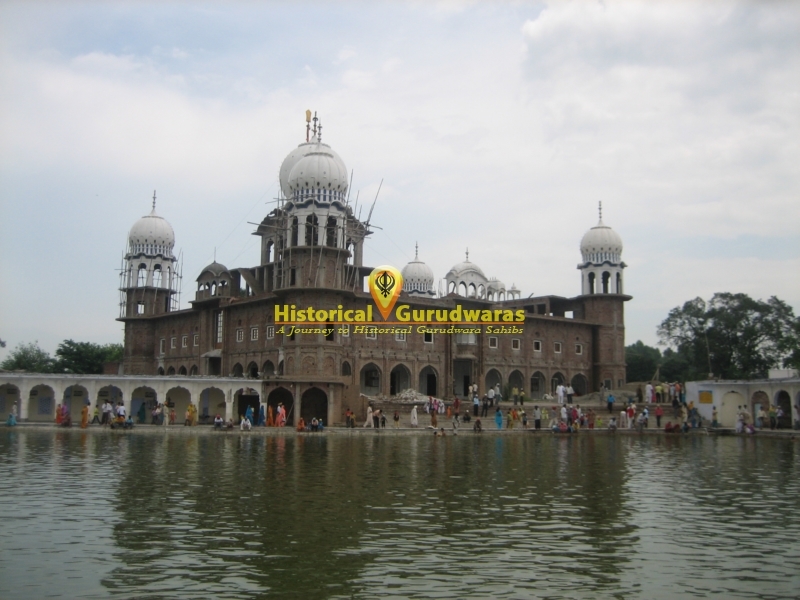 GURU SAHIB blesses this place with his powers that whosoever will come to this sacred place with full devotion and will take a bath in the Sarovar, all his/her wishes will be granted. 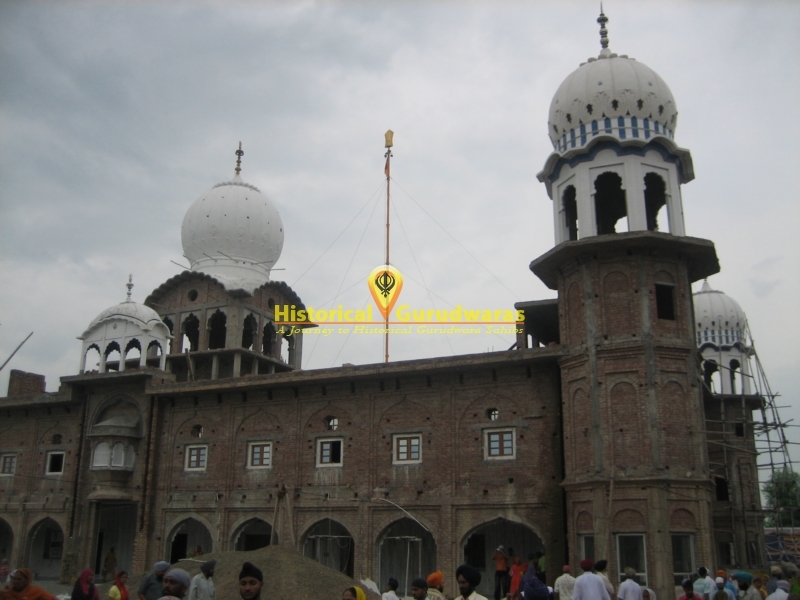 And all his donations will come directly to me.